Mandala Reflections is pleased to introduce a new category called “Spotlight”. This category will feature local, holistic practitioners, in hopes to build community and support one another. In addition to connecting people, the Spotlight may also introduce new perspectives and approaches to life, health, and spirituality. 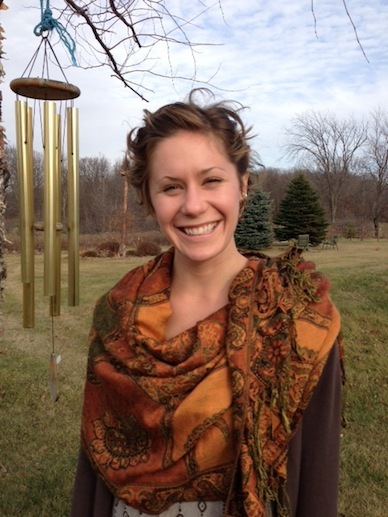 Siri Garnaas is a 500 hour registered yoga teacher and a Thai yoga bodyworker in the Twin Cities. She began her studies in 2011 with teacher Tanya Sowards at Devanadi Yoga and has not been able to get enough! Although she loves yoga and the healing qualities of this ancient practice, her current passion is Thai yoga bodywork (TYB). Siri first learned TYB as part of her 200 hour yoga teacher training. She was instantly hooked. TYB is unique and multi-faceted and it engages and excites Siri’s pitta nature. Thai yoga bodywork incorporates rhythmic massage, assisted hatha yoga poses, intentional breathing, and energy work which allow the recipient to heal not only the physical body, but the mental and spiritual as well. This modality of healing works with a person’s energy, or prana, through the opening of various energy lines, or “sen”. This process increases joint mobility and flexibility, improves circulation, tonifies organs, and relieves muscular and emotional tension. Siri is extremely grateful to the tradition for giving her the opportunity to expose others to it’s powerful, holistic healing approach and to contribute to her own path of self-healing. Through a one and a half hour session, Siri invites you to take some time for self-care and to experience, heal, and connect with your physical, energetic, emotional, and spiritual bodies. Want to learn more about Thai Bodywork? Siri recommends this article to get you started. Already convinced? Book an appointment by calling 651-332-0274.